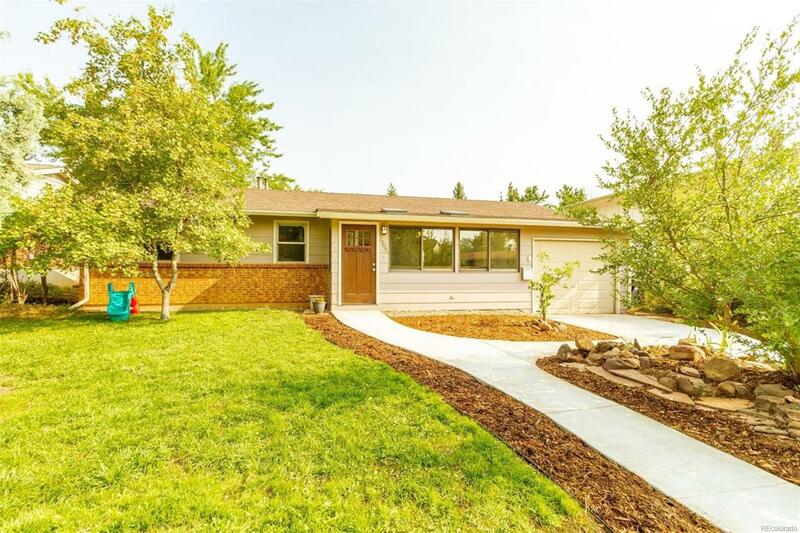 This amazing ranch home in lovely south Boulder includes an en suite master bath, a custom kitchen with cherry cabinetry, stainless steel appliances, and timber wine bottle rack. Oak flooring through-out the home, blue pine trim around windows, and barn doors in bedrooms. Brand new concrete work in front of home and back patio. Plumbing upgrades in both remodeled bathrooms. Garage is extended for shop or extra storage. Very close to Table Mesa Shopping Center, hiking, parks and great schools.